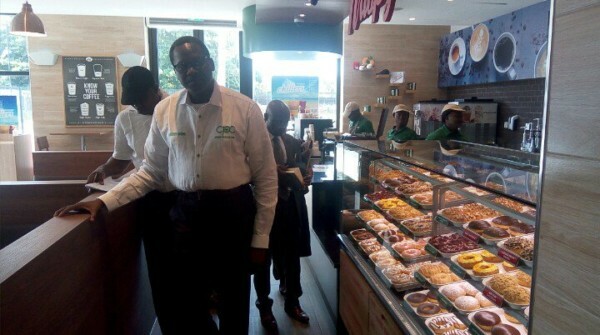 On Wednesday, August 8, 2018, the Consumer Protection Council (CPC) team led by its Director General Babatunde Irukera in conjunction with some officials from the National Agency for Food and Drug Administration and Control (NAFDAC) officials stormed the Victoria Island branch of one of the oldest doughnuts brands in the world, Krispy Kreme, which opened shop in Lagos less than a year ago in a welcomed franchise deal. Acting on a tip-off, the team conducted an extensive inspection of its raw materials and it discovered that some of the materials were expired but were still being used for production. Immediately this was discovered the branch was shut down. The CPC’s action has elicited varying reactions, which has been on the positive side majorly. However, the agency needs to take its responsibility more seriously as lives are at stake. The clampdown on Krispy Kreme is a first, but should not be the last, as many other restaurants, shopping malls, eateries, etc, have been known to engage in the use of bad and expired products in running their businesses. This is important as many of these establishments in a bid to make excessive profits while cutting costs at the same time engage in sharp practices. The volume of items being produced by these companies and their level of consumption by Nigerians put the lives of so many Nigerians at risk. Food poisoning does not only exists when a poisonous chemical is dropped on food but it also exists when the production process is not in compliance with world best practices. CPC’s decision to shut down Krispy Kreme is commendable but they should not stop at this, the agency must engage in a total overhaul of its operations. It should also do a nationwide clampdown of companies in the Fast-moving consumer goods sector while ensuring that its staff refrain from actions that might affect the integrity of their work. At this moment, all eyes on the CPC!